Lyndon Gray is a Kansas City, Missouri native who began his career as a radio show producer for KPRS Hot 103 Jamz. He graduated from Howard University with a major concentration in Media Production and a minor in Business Administration. His experience includes Sirius XM radio, KSHE 95, 105.7 the point, and his most notable Hot 97 in New York as Angie Martinez assistant. In Washington DC Gray began to build his brand Erace The Hate. Erace The Hate operates in media, merchandise, and mentorship. Working in radio platforms across the country, Gray has developed an expertise in media production. The goal is to grow the Erace The Hate brand to represent the socially conscious everywhere. Eracethehate.com serves as a Media Platform serving the social innovators: artists, activists, entrepreneurs, and anyone else making a conscious effort to better their community. Lyndon Gray is also a music artist on a mission to impact the culture. 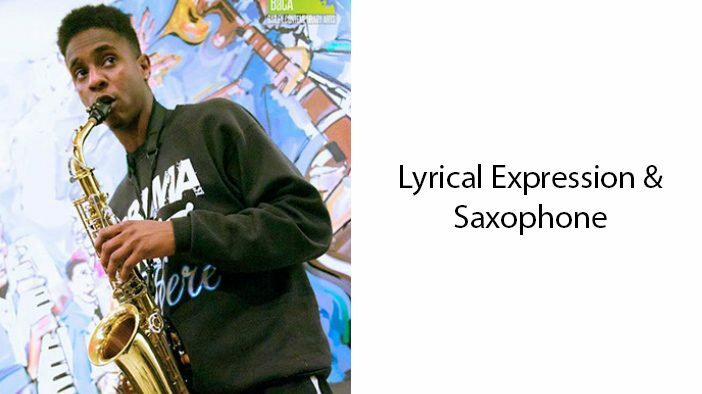 He fuzes hip-hop with jazz interpretation as a professional saxophonist. Gray spent his last years at Howard University mentoring youth for DC Public Schools. Upon his arrival to South Florida in 2014, Gray has began his motivational speaking career with opportunities at Florida Memorial University, Broward College, and Florida International University. At The Motivational Edge, Gray will be a Saxophone and Lyrical Expression Instructor. His goal is to use his talents to encourage the youth to write their own history, take advantage of their own destiny.